Studies show that 95% of those who learn a language during an extended stay in a foreign country can speak the language in a much better way than those who do not immerse themselves in the new language. For most people, the easiest and most effective way to learn a new language is to speak a lot. In this way, new neuronal pathways and connections are formed in your brain. Very soon you will be able to use the new skills confidently. We have understood this principle and developed a new language learning program that allows you to speak your new language from day one, whether at home or on the go. Try it yourself, and you will see how much easier language learning is than with traditional language course. Try Spanish - 100% FREE! Read an exciting story in your desired language and in this way learn the most important vocabulary for daily conversations quickly and easily! Listen to the exciting story as an audio book! Get used to the correct pronunciation and improve your listening skills! Start talking actively and using the learned vocabulary! Learn to use your desired language assiduously and to speak it fluently! In each lesson, you will be accompanied by our thrilling history and thus learn new vocabulary and grammar with ease. With the numerous audio files you become accustomed to the correct pronunciation and improve your listening comprehension! With NLS you just need ten minutes a day to learn the language of your choice. In a few weeks you will already be able to hold short conversations. Now I also speak good English and no longer need to hide anymore. Thanks again to the team NLS for the support! Hey guys, this really brought me great results. When one reflects about it, your method indeed makes a lot of sense. While it is not a pure or conventional course in business English, it has helped me enormously. I already got a first bonus at work, THANK YOU!!! After 1 to 2 months dedicating myself to studying hard, I made noticeable progresses. Now when I speak English, I feel much more confident and relaxed. I have already gotten early praise and accolades and will start learning another language soon. Here you can easily learn your desired language and access and retrieve all online content conveniently. All lessons are available from any computer, tablet or cell/mobile phone. In this way you can access this information always and everywhere. With NLS you do not have to study for hours, but instead it only takes ten minutes a day. That makes the NLS language course ideal for very busy students, pupils/ schoolchildren and professionals! Reciting the short story that was specially developed for this purpose is the perfect preparation for the holidays, the presentation to the customer, the oral exam at school or to permanently maintain one’s language skills after returning from a year abroad..
With ten minutes of active language training every day you improve your language skills continuously, gain more self-confidence, put into practice what you have learned and guarantee the maintenance of your learning successes for a lifetime. Learning languages with our methods can be so easy. Keep up the good work! Furthermore we recommend that you use the exclusive vocabulary trainer available on our website. The text is based on the most important words for everyday use of language. With the vocabulary trainer you practice and expand the so-called basic vocabulary. You will notice that learning new vocabulary and words becomes much easier, when a sound basis already exists. Q: When can I see the lessons? A: The NLS language course is a digital product. You can use it with any computer, tablet or cell/mobile phone. Upon payment, you will immediately receive an e-mail with your personal access details. In this fashion you can log in and start using the course right away. Q: How long does my account remain active after the purchase of the course? A: Your account remains indefinitely active and valid after purchase. Thus you will have permanent and unlimited access to the course. However, in order to prevent fraud and abuse, the access is limited to a maximum number of devices. Q: What distinguishes NLS from other programs? A: Very simple, it works! 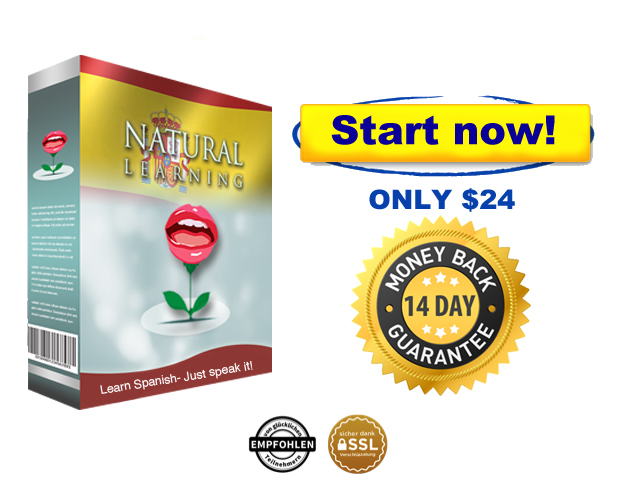 NLS is based on scientific experience and has already helped many people to achieve their language learning goals and every day a few more satisfied users are added to this number. Q: How can I pay? A: The payment is processed very conveniently via Digistore24. Your data is SSL-encrypted and therefore remains safe at all times. Digistore24 is a platform that works with the highest level of technology, comparable to the usual online banking standards. Order securely online 24 hours a day, 7 days a week, 365 days a year.